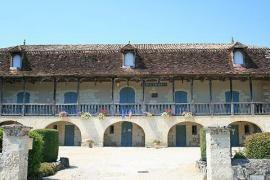 A few kilometres north of Mussidan and Neuvic and to the west of Perigueux is the village of St Germain du Salembre. 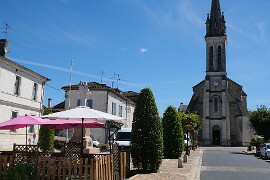 Sometimes when you get off the beaten track and explore the small villages of the region you can get somewhere and its a bit disappointing, and at first glance St Germain du Salembre doesn't seem to have much to offer. However from the parking walk towards the church and you will notice to the left down a side road there is a really beautiful house. This is the Chateau de Saint Germain du Salembre and was built during the 15-17th century on the site of an old gallo-roman villa. 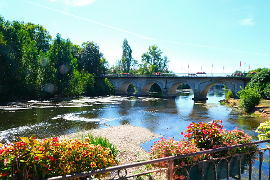 It is is a historic monument, a "Vielle Maison Francaise" classified house and is utterly charming. It has a gorgeous stone balcony on the first floor of its west wing and an equally lovely wooden balcony on the first floor of the north wing. Unfortunately it is not possible to visit the chateau. 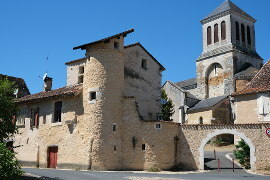 The church of St Germain du Salembre is a fortified church with a strong room. At the back of the church an arched partition seperates off part of the church and above this is a wooden balcony. In the village there is a bakers which still makes its bread in a wood fired oven. There are not many of these traditional ovens left in France but believe me it adds a wonderful flavour to the bread. 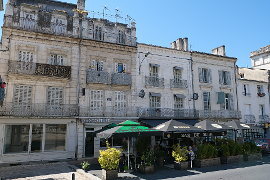 There is also a small bar which serves meals on a lunchtime. 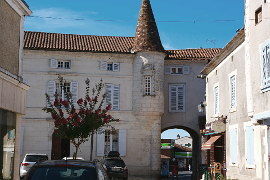 Nearby is the 'Ferme du Parcot'. This is a farm building built in 1841 in the traditional half-timber style and with a covered wooden verandah running the length of the house. It has been preserved as an eco museum and is a protected both as an historic site and as a picturesque site. 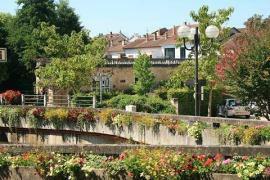 It is set in a lovely woodland area, part of the 'Foret de la Double', with lakes and meadows. La Ferme du Parcot is on the edge of the village of Saint-Astier.